New Delhi: The Central Bureau of Investigation has filed three cases to probe alleged fraud worth Rs 743 crore committed by several persons with IDBI Bank between 2009 and 2012 on the pretext of availing Kisan Credit Card and pisciculture (fish farming) loans. Three persons including a Lt Colonel - B K Sahoo, and two senior IDBI officers – R Damodaran (retired DGM) and Battu Rama Rao (then DGM) are common accused in all three FIRs. Earlier, CBI had filed a case last week against Battu Rama Rao and Damodaran for cheating IDBI bank of Rs 445.32 crore by availing Kisan Credit Card (KCC) and pisciculture loans on the basis of fake documents and overvalued collateral property. In the fresh FIRs – pertaining to frauds worth Rs 394 crore, Rs 160 crore and Rs 189 crore respectivelt, registered on Tuesday, CBI has named 38 private persons other than Sahoo, Damodaran and Rao. In the first case, CBI alleged that large scale frauds were taking place in IDBI Bank Limited, Rajahmundry branch, East Godavari district, Andhra Pradesh in the matter of processing and sanctioning of loans under KCC/short term loans for construction of ponds/tanks. Damodaran and Rao connived with five mediators/aggregators causing loss of Rs 394.59 crore. The bank officials enhanced the limit to Rs 5 crores although the maximum limit of KCC loans was only Rs 25 lakh. Damodaran even directed the branch level officers involved in processing and recommendation of loan into submitting positive reports in respect of 350 borrowers arranged by the aggregators and after the loans were sanctioned, he instructed the branch officials to disburse the loan proceeds to savings accounts of beneficiaries without ensuring the end use. As per the laid down procedure for KCC loans, the maximum limit with regard to primary activity/fish tank activity is 50 kms from the branch location, however, Damodaran and Rao asked the branch officials to ignore this condition. The accused private persons had produced fake documents pertaining to existence of the fish tanks. Using similar modus operandi Damodaran and Rao cheated the bank of Rs 189.95 crore at its Bhimavaram branch, West Godavari district and Rs 160.86 crore at Palangi branch, West Godavari. 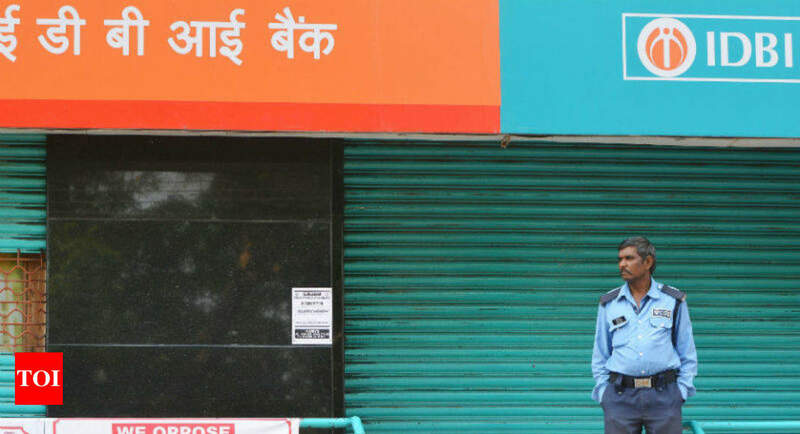 Officials said that Lt Colonel B K Sahoo was the panel valuer for the bank and he alongwith others intentionally overvalued the collateral properties and inflated net-worth certificates in respect of the borrowers. CBI said that the total loss to IDBI bank due to conspiracy by Rao and Damodaran stands at over Rs 1,188 crore now.